Phosphate in natural sea water ranges from less than 0.01 mg/L to 0.3 mg/L. For corals in reef aquaria, such phosphates should be 0.2 mg/L or less. 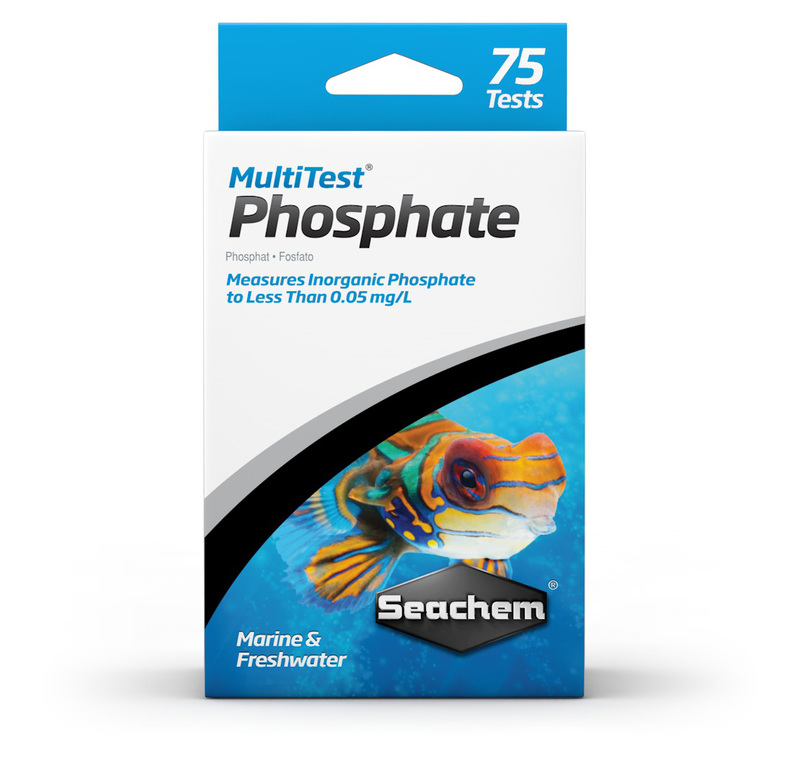 Phosphates are non-toxic to fish and most invertebrates, but are ideally kept below 1 mg/L to minimize algae growth. In freshwater, phosphates are not critical and the allowable concentration is dependent on variables such as nitrate, manganese, iron, and vitamin concentrations, as well as the extent of use of live plants. 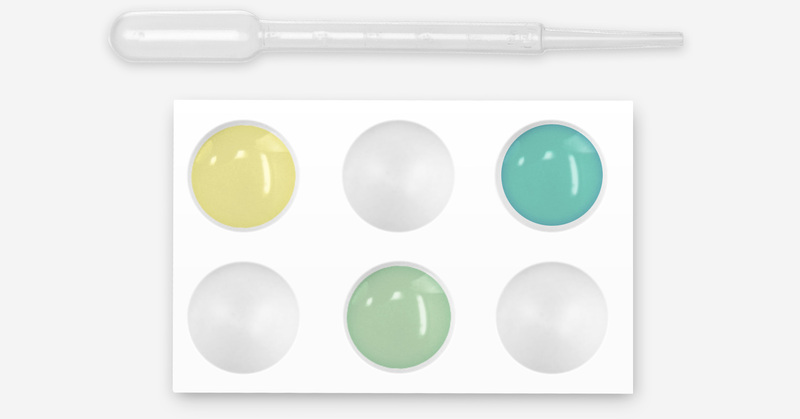 MultiTest™ Phosphate measures inorganic phosphate to less than 0.05 mg/L, producing a unique easy to read yellow-green-blue color range in marine and freshwater; however, usually, freshwater phosphate concentrations will be beyond the range of this kit, and dilutions of the sample with distilled water will be required. It performs over 75 tests and contains a reference sample for validation. KEEP AWAY FROM CHILDREN! This kit is not a toy. Reagent #2 contains sulfuric and molybdic acids and is corrosive! It may be hazardous if used carelessly or contrary to instructions. Reagents are corrosive to skin, metals, and fabrics. Avoid contact. Protect work surfaces with plastic liner or newspaper. If accidental spillage or contact occurs, wash and rinse exposed area thoroughly with water. If eye entry occurs, rinse eyes immediately with water for 10 minutes and then seek medical attention.